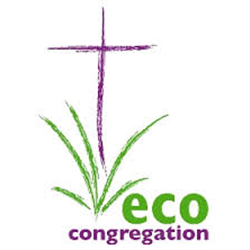 Eco-Congregation Scotland was founded in 2000 as a voluntary organisation, registered as a charity in 2010 and became a SCIO in 2018. We have grown to become the largest movement of community-based environment groups in Scotland with around 450 registered congregations. As an ecumenical charity we work with local churches of all denominations in addressing climate change and “caring for God’s creation”. We are looking for a new Membership and Office Administrator in an exciting opportunity to support an ecumenical charity working with local churches of all denominations in addressing climate change and “caring for God’s creation”. Founded in 2000, Eco-Congregation Scotland has grown to become the largest movement of community-based environment groups in Scotland with around 450 registered congregations. Our funding currently comes from the Scottish Government, Church of Scotland, Scottish Episcopal Church, United Reformed Church, Christian Aid, Scottish Catholic International Aid Fund, membership fees and donations from our supporters. This role is ideal for someone who has excellent attention to detail, good administration skills and is available now for part-time, flexible work. The successful candidate will be responsible for general office administration and charity’s membership database. Experience of using Constituent/Customer Relationship Management software would be beneficial but not essential, as training will be provided with the charity moving to a new cloud-based database system.